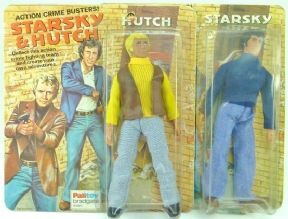 Rare set of Starsky and Hutch figures made by Mego and distributed in the UK by Palitoy Bradgate. 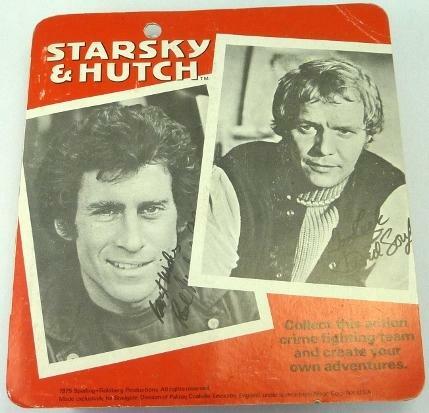 Hutch is firmly sealed, the bubble has no dents, cracks. The backing card lies flat, it has a crease to the top left corner and light edgewear. Starsky has some indentations to the bubble and 2 cracks at the bottom near his feet. 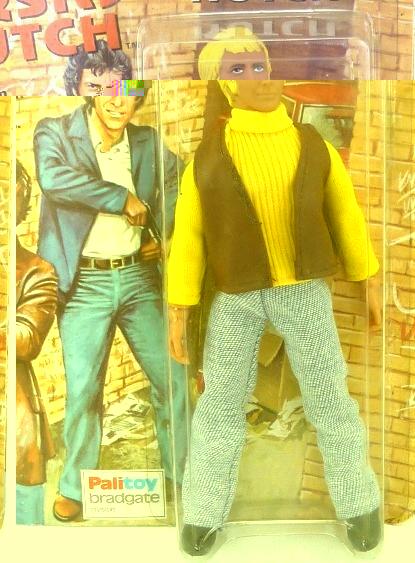 The card lies flat, with a small tear to the card near the palitoy logo. There is also a dent to the card on the right side near the bubble. 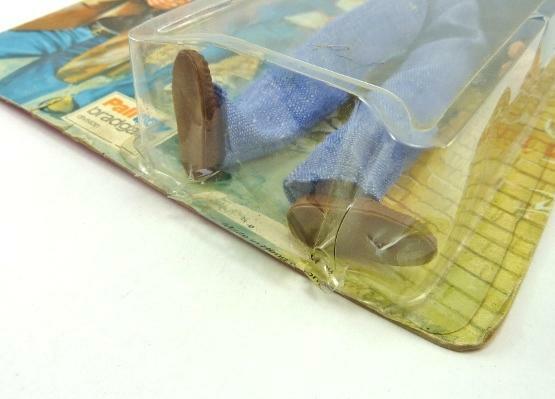 The bubble has also come away from the card at the bottom near his feet, this is a common problem and you can see in the photos.